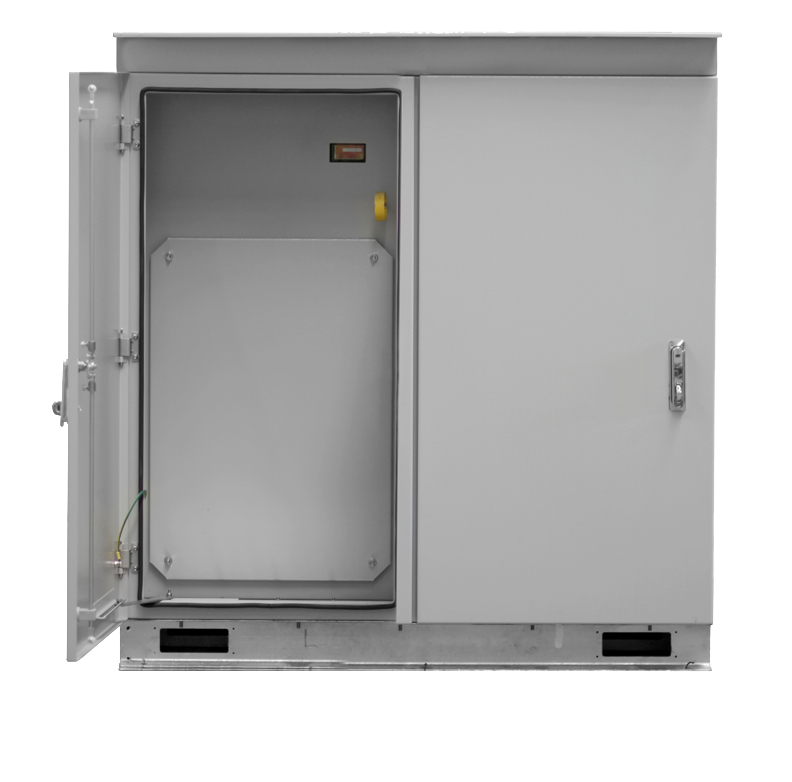 The OSM Ground Mount Kiosk is designed for the connection and protection of underground cables for voltage classes up to 38kV. 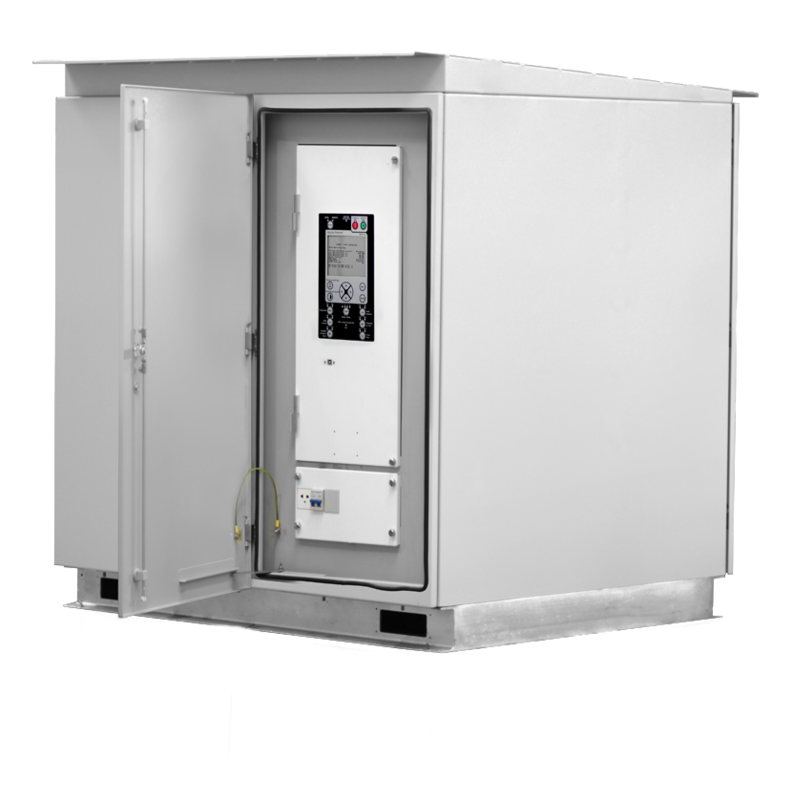 The kiosk houses an OSM automatic circuit recloser, an RC10 controller and cable connection compartment.The OSM automatic circuit recloser has been extensively type tested by independent laboratories to ensure long life and reliability under the harshest environmental conditions. 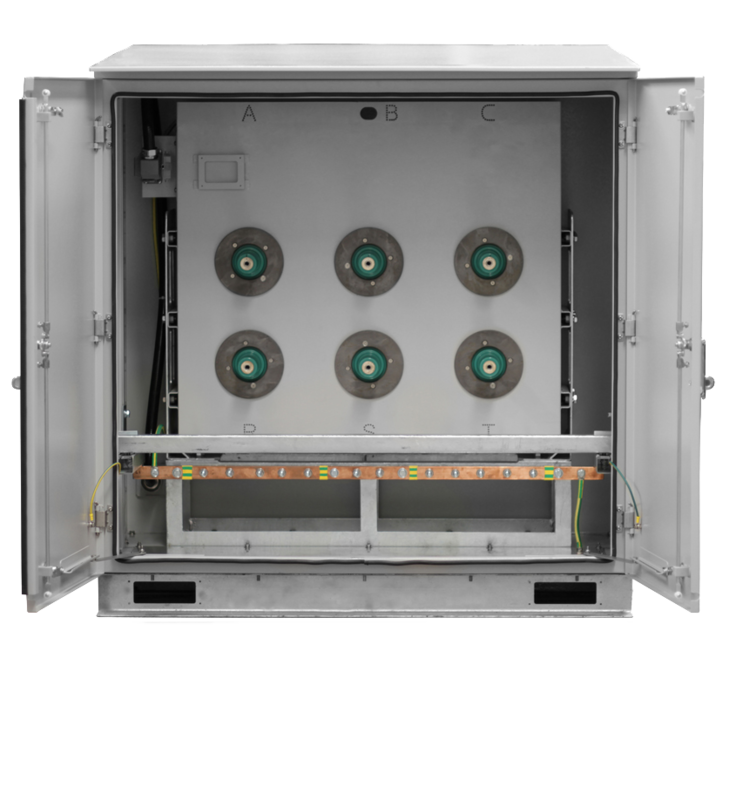 It is the only solid di-electric insulated recloser to provide controlled arc fault venting and independent testing provides verification of this important safety feature. The RC10 controller provides all the protection, data logging and communications functions. An operator panel is used to operate the device locally. A manual trip ring mechanism is located in the front compartment above the mounting plate and is used to manually open the OSM. The open and closed position of the device is indicated by a green ‘0’ to indicate the device is open and a red ‘I’ to indicate the device is closed, this can be viewed through the window next to the trip ring.